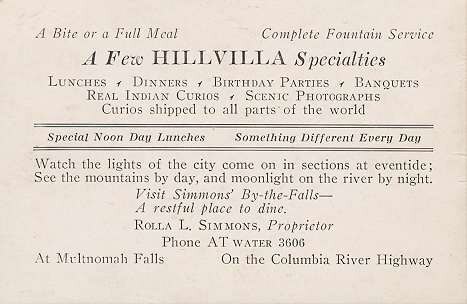 One of Portland’s most famous restaurant icons, Hillvilla was known for its Indian Curios and “The View of A Million Lights” high above the Willamette River. 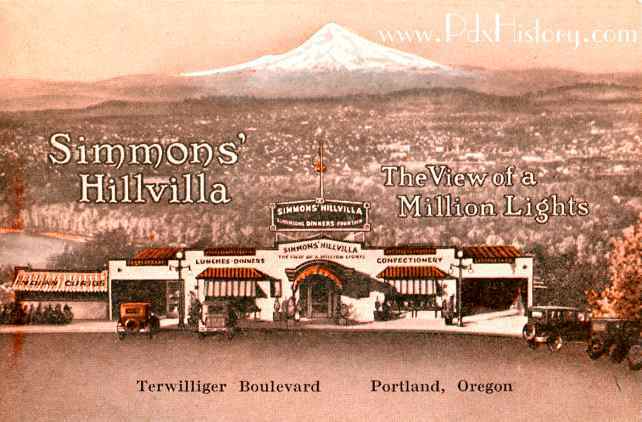 Early view of Simmons’ Hillvilla when a deck surrounded the small building. 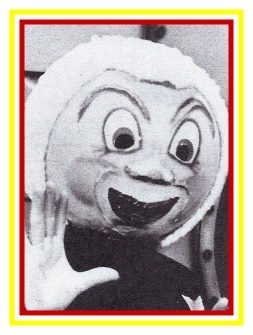 A few years later and the restaurant expanded again. 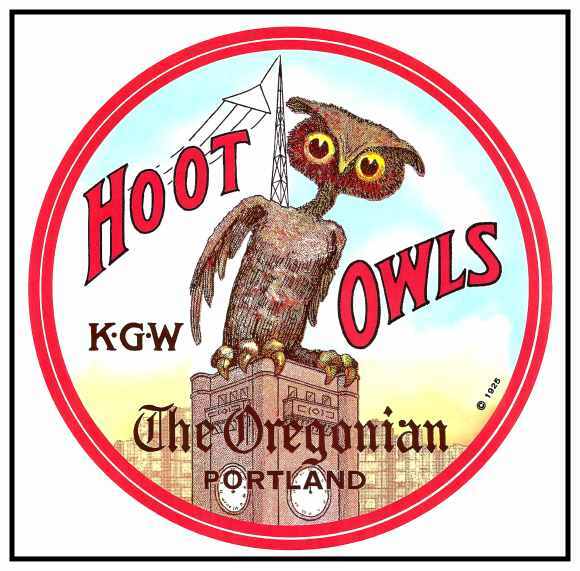 A Totem-Pole now sits to the left. Nice view of Mt. 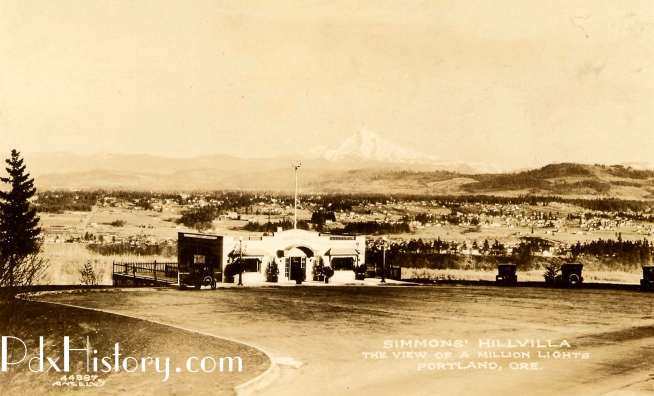 Hood from Hillvilla by Gifford. 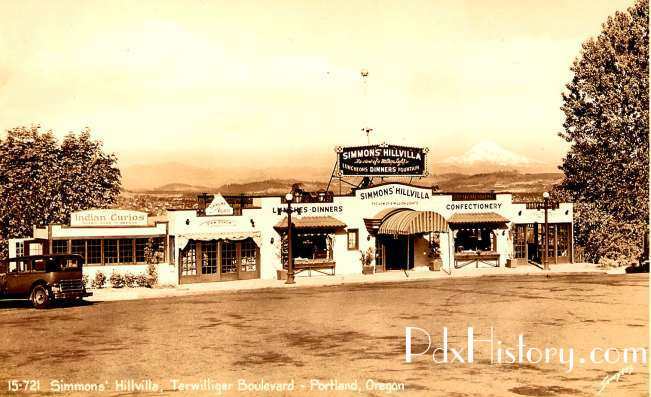 Extensive remodeling in the 1950s would change the quaint structure to a boxy, contemporary design without style as it became Palaske’s Hillvilla. Another remodel in the 1980’s and it became the Chart House. 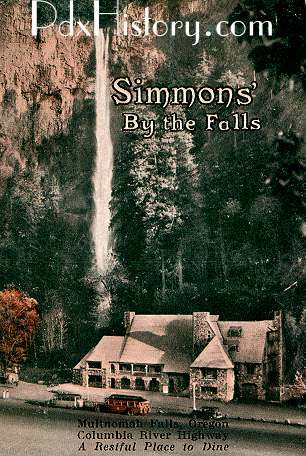 For several years, Rolla Simmons purchased the rights to run the concession at the Multnomah Falls Lodge and he called it “Simmons By the Falls”.